A Non-Profit dedicated to "Honoring Newly Fallen Heroes"
2013 New Mexico Honor Guard Conference on August 30, 2013 at the Santa Fe New Mexico National Guard Armory’s Annual Competition and Volunteer Invitational. 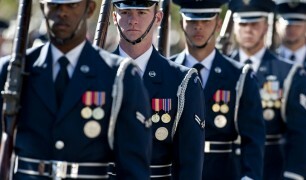 USTaps.org is Dedicated to the Men and Women of the US Military and raises funds to continue the tradition of Military Funeral Honors, with a military bugler playing taps and a 21 gun volley. We Have A Tie in the Small Group Competition at the 2013 New Mexico Honor Guard Conference on August 30, 2013 at the Santa Fe New Mexico National Guard Armory’s Annual Competition and Volunteer Invitational. USTaps.org – We Have A Tie in the Small Group Competition – YouTube. 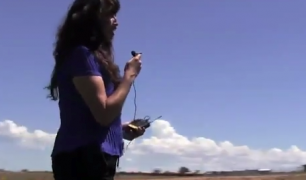 USTaps.org – Shiprock NM VFW Presentation – YouTube. 2013 New Mexico Honor Guard Conference on August 30, 2013 at the Santa Fe New Mexico National Guard Armory’s Annual Competition and Volunteer Invitational. The USAF Honors Team lead the Demonstration and Training portion with a fine example of a 21 Volley, 7 Gun Salute — complete with narrative explanation of each individual element of the drill. 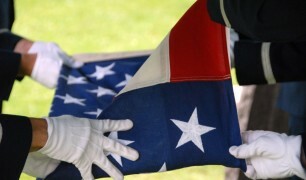 USTaps.org is Dedicated to the Men and Women of the US Military and raises funds to continue the tradition of Military Funeral Honors, with a military bugler playing taps and a 21 gun volley. 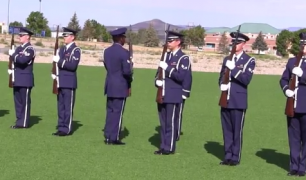 USTaps.org – USAF Seven Gun Volley Demonstration of 21 Gun Salute – YouTube. Devil Dogs Enter Final Competition at the New Mexico 2013 Burial Competition and Training on 8-30-13. 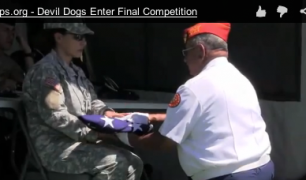 USTaps.org – Devil Dogs Enter Final Competition – YouTube. Just when Virginia Gutierrez thought all hope was lost with seeing her late father again, incredible acts of kindness help to bring him home. Rolando Gutierrez died last weekend in Knox City, Texas at a special nursing home for patients with dementia. The Vietnam veteran was 65-years-old. Virginia feared her father, who lived with her and her son in Harlingen up until 2009, wouldn’t get a proper military funeral because of a lack of funds. 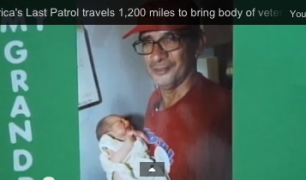 Shortly after the story aired, Commander Ricardo Pena with America’s Last Patrol volunteered to travel nearly 1,200 miles to help transport the body home. 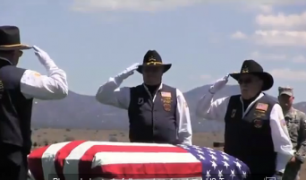 More…America’s Last Patrol travels 1,200 miles to bring body of veteran home : News : ValleyCentral.com. Acoma Pueblo’s Military Funeral Honors Burial team at the State of New Mexico Burial Team Competition and Training in Santa Fe on 8/30/13. 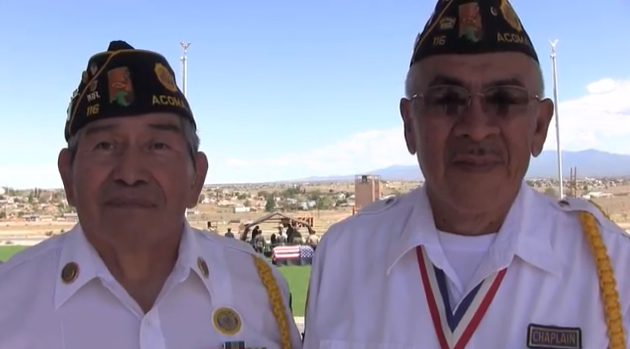 Acoma Pueblo 2013 Military Honors Competition – YouTube. 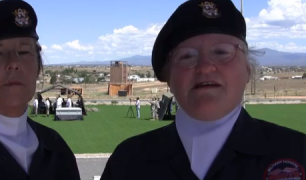 Myrna Powers and Tammy Duncan of the Women Veterans of New Mexico at the NM 2013 Burial Competition and Training. Learn why they chose to provide burial services. 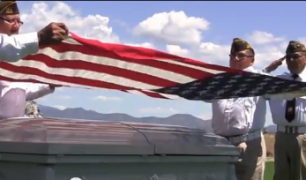 US Taps – Women Veterans of NM 2013 Burial Competition – YouTube.